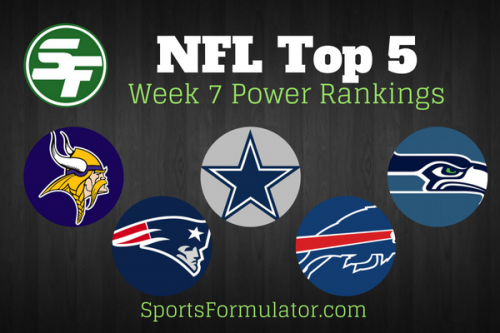 Using our predictive formula we rank all 32 teams in our weekly NFL power rankings. Who wins the Super Bowl if it were played today? Get our NFL Playoff predictions based upon the first six seeks of the 2016-17 season. Play our Free NFL Pick ‘Em contests picking games Against the Spread or just pick game winners weekly. Get NFL predictions all season long from SportsFormulator.